The mission of Spartanburg Water is to provide quality water and wastewater services to our region in a reliable manner. We are proudly committed to protecting public health, being good stewards of the environment, and supporting our community’s desired quality of life. Spartanburg Water is providing this information to answer frequently asked questions regarding the Taste and Odor Strategic Improvement Plan. Why is algae a concern for Spartanburg Water reservoirs? Some algae, particularly blue-green algae (cyanobacteria), produce Methyl-Isoborneal (MIB), together with other potential taste and odor chemicals such as Geosmin. MIB is the chemical byproduct that naturally occurs in most watersheds, and whose impact can intensify in water sources during periods of fluctuating weather with dwindling rain and hot temperatures. Historically, the Spartanburg Water reservoirs have had both MIB and Geosmin present but the use of powered activated carbon (PAC) has been applied to manage the concern. In 2003 and 2015, the levels could not be controlled with PAC and our customers experienced widespread Taste and Odor (T&O) issues with their drinking water. While higher levels of MIB can certainly change the taste and odor of the water, they do not compromise the water’s quality and the water is safe to use. What is Spartanburg Water doing about T&O concerns? 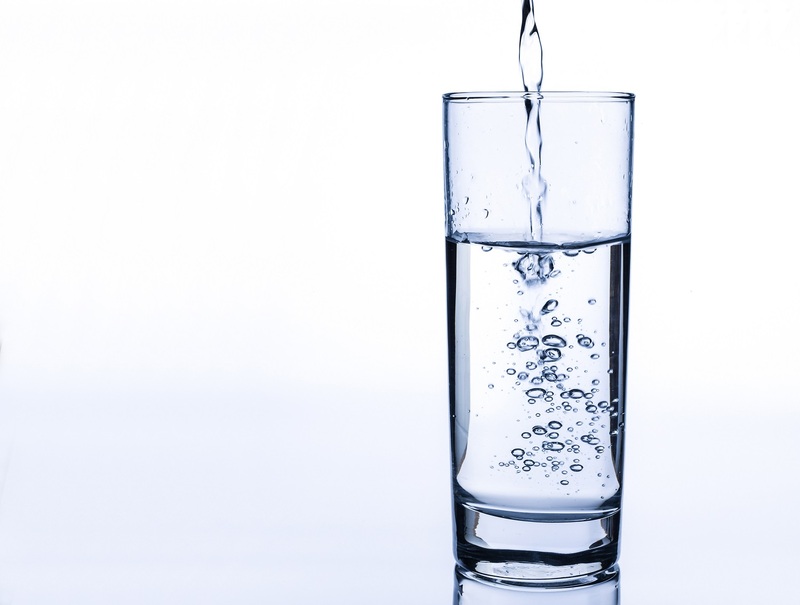 Taste and Odor concerns in water generally stem from multiple contributing factors and require a multifaceted strategic response, including immediate responsive reactions when taste and odor begins to shift based on customers’ experiences, as well as predictive actions to detect water quality changes as early as possible. At Spartanburg Water, a T&O taskforce was formed across key leadership roles to address issues in a collaborative manner using predictive and responsive tactics as a part of an overall T&O strategic improvement plan designed to protect now so that we may enjoy forever. Both the age of the reservoirs and the influences of nutrients from the watershed impact the water quality. Nutrient loadings in the reservoirs is one of the most ubiquitous influences for Spartanburg Water to identify and manage. Source identification and prevention of nutrients will take an extensive effort that we are just beginning. The T&O Taskforce, made up of leaders across the utility, is reviewing data weekly, discussing trends, and determining responses. Further, Spartanburg Water has committed $22 million of capital improvements to reduce the formation of T&O compounds in the reservoirs and to apply an effective treatment for those that appear in the lakes. What are the predictive actions being taken to address taste and odor before they occur? The use of sophisticated laboratory technology known as FlowCam was begun in 2016 to provide enhanced, early detection through algae counts and identification of cyanobacteria (blue-green algae) known to produce taste and odor concerns. A watershed monitoring program has been implemented to provide advance identification of water quality trends that may lead to taste and odor related concerns. Samples are taken from multiple depths along various alternating routes to fully evaluate water quality around Municipal Reservoir #1 and Lake Bowen. Staff has identified operational trigger points for in-lake treatments of algaecide as needed to offset rising taste and odor constituents and/or algae counts. What responsive measures will Spartanburg Water take to reduce taste and odor should they occur? Staff members have developed a GIS Watershed Portal tool. Our GIS (location information) and the CIS (customer information) have been integrated to enhance our capability to identify customer trends sooner. Likewise, capital projects are underway to further enhance our long term strategy for Taste and Odor control. The Oxygenation System Project became operational Fall 2016. The implementation of this project allows us to mitigate anoxic zones that have historically been troublesome from both a blue-green algae and manganese perspective. The continuous alum sludge removal project for the R.B. Simms settling basins is in the design phase and once constructed, should reduce the probability of T&O constituents being formed in the basins themselves. The multi-level intake, new raw water line and carbon feed system re-location have been placed on the CIP schedule for the near future and should further bolster our readiness and reliability in dealing with T&O concerns. Watershed based planning will be used as a collaborative process among community stakeholders to identify needs and opportunities for improving water quality. The State of South Carolina awarded a $60,000 grant to Spartanburg Water to develop a watershed based plan. The plan will provide guidance that is aimed at reducing nutrient loading that may lead to taste and odor concerns, in addition to other water quality issues, by the use of recommended best management practices on Lake Bowen and Municipal Reservoir #1 within the South Pacolet River Watershed. Since the source water in the reservoirs is not fully protected from agricultural and stormwater influences, the study will require both community input and response to any recommendations. To date, we have received support letters from Spartanburg County Department of Public Works, Clemson Cooperative Extension, the Watershed Ecology Center, and the Spartanburg Soil and Water Conservation District supporting this collaborative process to improve water quality. Key stakeholders were engaged in March 2017 to provide information for the development of the watershed based plan. If you need additional information about our taste and odor initiative, please contact Spartanburg Water Customer Service at 864-582-6375.